Today’s tile and stone pieces are larger and more expensive than in years past. Consequently, architects and their clients want the pieces set very close together for that striking “slab look”. This requires accurate, chip free cutting performance. The Combi 250VA delivers this performance for the most demanding installations, day after day. 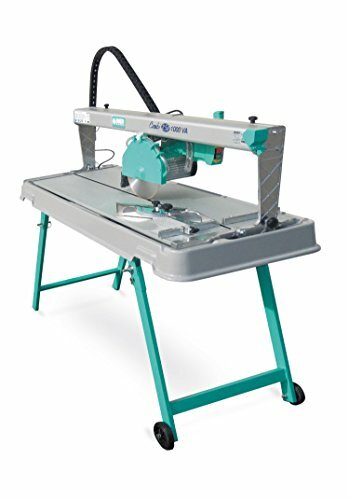 Buy Imer Combi 250/1000VA Tile & Stone Saw at Discounted Prices ✓ FREE DELIVERY possible on eligible purchases. Maximum cutting depth 90/45 degrees. 2-1/2" / 1-1/4"
Cutting table dimensions. 36" x 20"
Noise level. 78 db(A) It's real quiet! Today's tile and stone pieces are larger and more expensive than in years past. Consequently, architects and their clients want the pieces set very close together for that striking "slab look". This requires accurate, chip free cutting performance. The Combi 250VA delivers this performance for the most demanding installations, day after day.